John Hardy has been at the helm of Stephens Painting for over 20 years. He is the grandson of founder James W. Stephens and was raised working in the business with his Grandparents. He learned the painting trade from a very young age, and is proud to honor the Stephens tradition of quality work and superior service. In building the business, Mr. Hardy continues to employ new techniques, services, and products to keep up with growing demands and trends. Foremost, though, is that a great job and superior service are always the goal. John Hardy does all estimating and project management, ensuring that customers are comfortable from start to finish on each project. John Hardy runs Stephens Painting, LLC alongside his wife, Sally. He is very active in the community he serves. He enjoys being a Rotarian and participating in many community initiatives and activities. Family and faith are important cornerstones of his life and he is very proud to be the Dad to two wonderful daughters, Megan and Molly. ﻿Sally Hardy has been assisting John Hardy with Stephens Painting since before they were married. Over the years, her role has evolved to that of co-owner and business partner to John Hardy. Mrs. Hardy runs the office for Stephens Painting, LLC. She is the first contact when customers email or call, and assists customers through booking their job and scheduling their project. She also serves the accounting, human resources, and marketing roles for Stephens Painting, LLC. 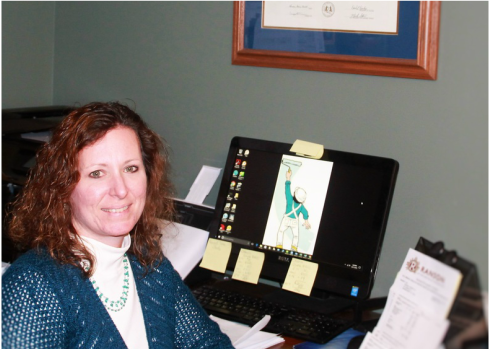 Sally Hardy holds a Bachelor of Science degree in Business Administration from Shepherd University. When she is not in the office, Mrs. Hardy enjoys spending time with her husband John and their two daughters, Megan and Molly.